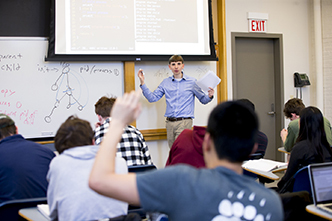 We engage with students, connect and collaborate with faculty, and enhance academic work with technology. From data mining to multimedia production, opportunities to explore and develop cutting-edge skills are here. 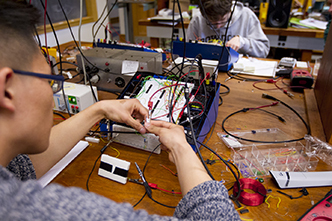 Learn more about support for technical projects available on campus. When technology is used to engage students in new ways, the results are striking. See examples of extraordinary work being done at Bowdoin today.